Stuttgart vs Bayer Leverkusen predictions for this weekend’s German Bundesliga. Can Leverkusen shake a run of three consecutive defeats when they travel to the Mercedes Benz Arena to face Stuttgart on Saturday? Read on for our free betting tips and match preview. Bayer Leverkusen were left deflated after a 4-2 defeat to RB Leipzig last Saturday derailed their push for a place in Europe next season. Peter Bosz’s men are now three points adrift of the top six, though having beaten Stuttgart in five of the last six meetings, should like their chances of closing the gap this weekend. On their day, Leverkusen can be an absolute force – they recently had a spell of six wins from seven, which included a 3-1 win over Bayern Munich, losing only to then league leaders Borussia Dortmund – but some recent results show there are defensive issues to resolve. Stuttgart’s 1-1 draw at home to Nurnberg saw them remain in 16th place. Markus Weinzierl’s side put up a reasonable fight over a tough run of fixtures before that – they drew against Europe-chasing Hoffenheim and almost caused an upset at Borussia Dortmund – but they’re going to need to start getting a few more results if they are to close the four-point gap between themselves and safety. Hosting an ever-dangerous Leverkusen doesn’t look like a great opportunity to start doing that but they’ll no doubt take confidence from the fact that they’ve lost just once in their last five in front of the home fans (W1 D3 L1). 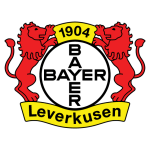 Leverkusen do, however, tend to make the most of their favourable fixtures, winning in each of their last four away outings against teams ranked lower than them in the Bundesliga. Backing them to win wouldn’t be a bad option, but we’re thinking that a smaller bet on ‘over 3.5 goals’ offers slightly better value. Leverkusen’s scoring form cannot be questioned – Bosz’s men have scored two goals or more in eight of their last ten league outings – but their relentless offence has often come at the expense of their defence. 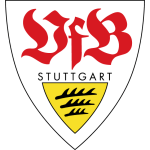 Stuttgart themselves have also been firing well enough, scoring at least one goal in nine of their eleven league matches so far in 2019. Leverkusen’s league matches this year so far have also seen a massive 43 goals scored, an average of almost four goals per game – the second highest number in the league – and with over 3.5 goals scored in 43% of Stuttgart’s and Leverkusen’s respective home and away matches too, this looks set up to be a fun one. As mentioned before, Leverkusen have a good track record against Stuttgart and their current run of three defeats have all been against sides in the top half. With Stuttgart far from that quality, the visitors should have what it takes to get all three points as well. Our prediction: a 3-1 Leverkusen win. The 1-0 win in Leverkusen at the end of April 2018 was Stuttgart’s only victory in their last 15 Bundesliga matches against Bayer 04 (D3 L11). Bayer 04 Leverkusen have beaten Stuttgart more times than they have any other team (35). The Werkself have also only scored more goals against Borussia Mönchengladbach (137) than they have against VfB (132). Leverkusen are unbeaten in seven Bundesliga matches in Stuttgart (W5 D2) – currently their joint-longest unbeaten run on the road (also 7 against Augsburg). Their last away defeat against VfB was in April 2010 (1-2). 21 points from 28 matches is VfB’s worst record at this stage of a Bundesliga season. They were 12 points better off at this stage when they were last relegated in 2015-16. Stuttgart haven’t kept a clean sheet in 15 Bundesliga matches – the longest current run in the league. The last time they went longer without a clean sheet was between October 2013 and March 2014 (18 games). VfB Stuttgart are on the brink of their 200th home Bundesliga defeat. Only Hamburger SV have reached this milestone (201). Leverkusen have lost three in a row for the first time since August/September 2018. The last time they went on a longer wait for points was in March 2012 (4 consecutive defeats). Only once before have Leverkusen conceded 13 goals across four Bundesliga matches, back in 1981 – 1-5 vs Borussia Mönchengladbach, 0-3 vs KFC Uerdingen, 3-0 vs. Bayern München and 3-5 vs Borussia Dortmund. Leverkusen have conceded 18 goals from set piece situations this season, only Hannover 96 have conceded more (20). Leverkusen’s Kai Havertz is on the brink of his 100th competitive match in German football (all for B04).